• Integrating cutting edge technologies (e.g. GIS) in the environmental techniques used on the project. 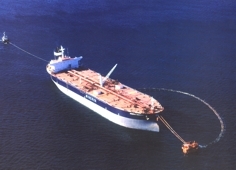 CPC Pipeline System was built to get crude petroleum from North-West Kazakhstan and Russia to a specially constructed terminal at the Black Sea (near Novorossiysk) for further export. The CPC pipeline length in Russia crosses 4 regions of the country (Astrakhan Oblast, Republic of Kalmykia, Stavropol Kray, Krasnodar Kray). 1998. At the TEOC stage of design of the above project EC developed the Environmental Protection Section that included the ElA report,as part of the TEOC deliverable. As part of the job we made use of the findings of environmental surveys and socio-economic studies that we conducted jointly with organizations specializing in the fields. An environmental due diligence and baseline assessment was conducted covering both the natural and the social milieu existing in the project zone. We developed a look-ahead for potential changes in the natural environment of the offshore strip along the coast and the onshore part of the project. A suite of recommendations for further environmental studies and for the engineering during subsequent design stages was developed. 2000-2002. A continuous environmental support and an environmental monitoring was provided with relation to the construction phase of the CPC crude pipeline project. A Environmental Support Program and an Environmental Monitoring Program covering both the construction and operation phases of the project were developed and implemented. Monitoring at the time of commissioning CPC facilities for operation and completing the start-up to document the associated environmental changes occurred after the construction and reclamation (Post- Constructional). A GIS-based Environmental Data Bank was created and put into operation on the project. 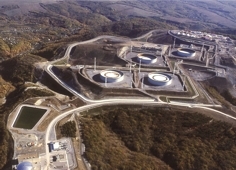 For a number of CPC facilities located in Krasnodar Kray (Tank Farm, Shore Facilities, Single-Point Moorings, Kropotkin PS) Ecocentre developed the MPE and MPD reports, the Waste Disposal Limits projects and the corporate natural resources user’s environmental certificates. For the pump station near Komsomolsk in the Republic of Kalmykia Ecocentre developed the Maximum Permissible Emissions report (MPE).